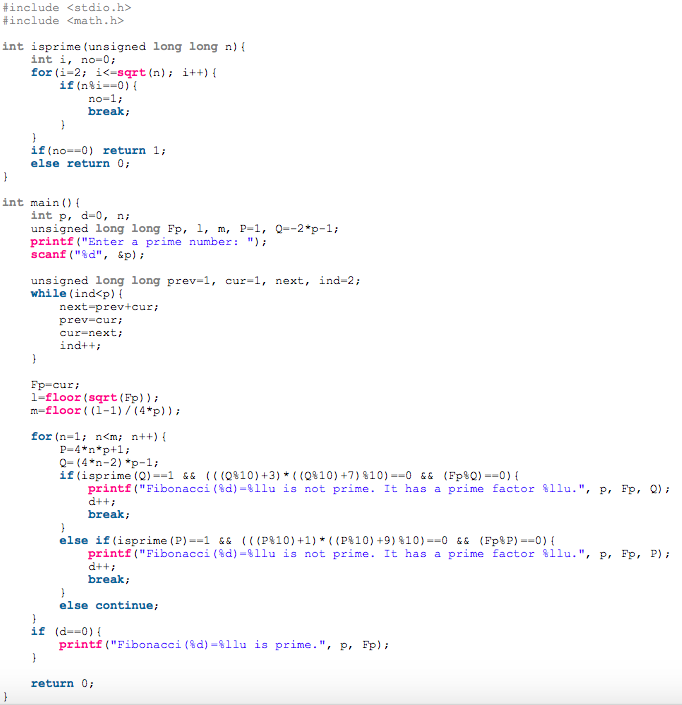 I just wrote a C program based off this note that can decide whether the Fibonacci number is prime for a prime index . (Recall that is composite when is composite.) I had written a MATLAB code some years back and since I can’t access MATLAB on my current computer I decided to rewrite it in C. The program can compute the smallest prime factor of for all primes on a 64-bit system. EDIT: I’ve improved my program slightly so that now it works for . (Note: .) The new code looks somewhat ugly so I won’t post it here. Yeah I should learn it at some point.